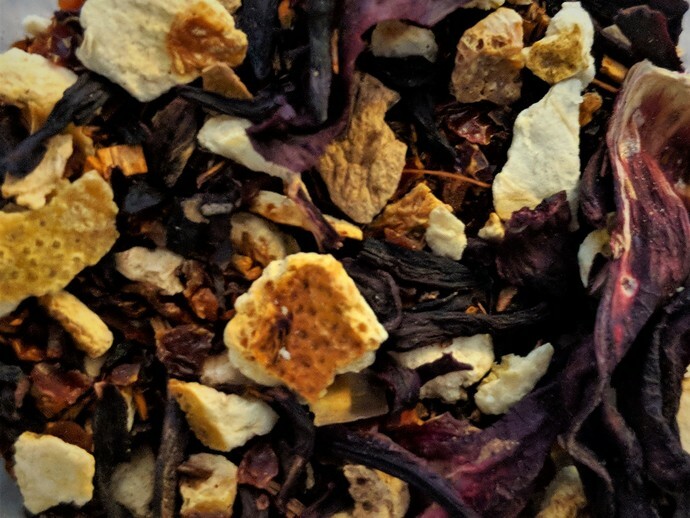 Organic Orange Rosehip Hibiscus Rooibos herbal infusion is a tasty, citrusy, tangy, sweet and nutty herbal. Looking for a non-caffeine infusion with tons of Vitamin C and antioxidants? This infusion has taste and many health benefits.